Although midurethral slings have become standard surgical methods to treat stress urinary incontinence (SUI), little is known about women who still have urinary incontinence (UI) after surgery. 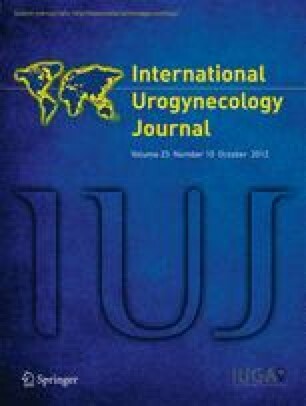 This study assesses and compares the patient-reported outcome 12 months after tension-free vaginal tape (TVT), tension-free vaginal tape-obturator (TVT-O), and transobturator tape (TOT), with a special focus on women who still have urinary leakage postoperatively. This study analyzed preoperative and 12-month postoperative data from 3,334 women registered in the Swedish National Quality Register for Gynecological Surgery. Among the women operated with TVT (n = 2,059), TVT-O (n = 797), and TOT (n = 478), 67 %, 62 %, and 61 %, respectively, were very satisfied with the result at the 1-year follow-up. There was a significantly higher chance of becoming continent after TVT compared with TOT. In total, 977 women (29 %) still had some form of urinary leakage postoperatively. Among the postoperatively incontinent women who expressed a negative impact of UI on family, social, work, and sexual life preoperatively, considerably fewer reported a negative impact in all domains after surgery. Of those in the postoperatively incontinent group who had coital incontinence preoperatively, 63 % reported a cure of coital incontinence. The proportion of women very satisfied with the result of the operation did not differ between the three groups. TVT had a higher SUI cure rate than did TOT. Despite urinary leakage 1-year postoperatively, half of the women were satisfied with the result of the operation. Margareta Nilsson has received travel grants from Astellas to attend medical conferences. Mats Löfgren is chairman of The Swedish National Register for Gynecological Surgery. No commercial partner was involved in the study setup, study design, or data collection. The other authors have no conflicts of interest to declare.